We own and operate our crematory at our Coeur d'Alene location. We have personally performed over 9000 cremations, each handled individually. Our Peace of Mind 10 Step Cremation Process ensures that the cremated remains returned to you are those of your loved one. Our 3 cremation packages are offered to help with planning a personalized cremation tribute. They include items client families have found to be meaningful. Each package can be tailored to suit your personal preferences or budget. 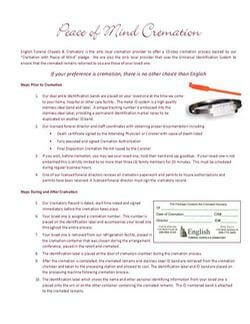 Please click here to view our online version. A complete Cremation Guide and General Price List is available for pickup at the funeral chapel. Please contact us to request a copy by mail. Cremation is the ideal option for those seeking a simple, yet dignified service. Whether for religious, environmental or personal reasons, an increasing number of families are choosing cremation. 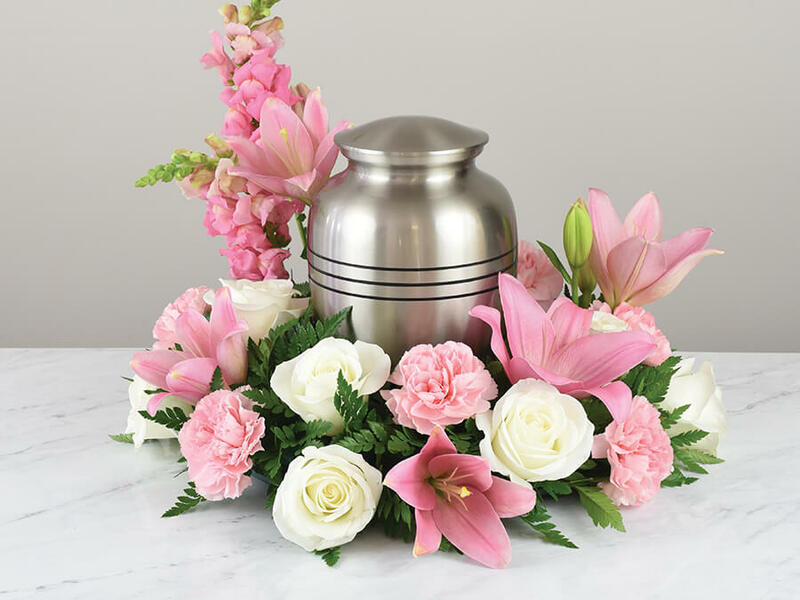 With this option you may choose to bury the cremated remains in a cemetery, disperse in a scattering ceremony or keep them safely at home in an urn or other container. Visit our online webstore and select the urn or jewelry that will fit your unique needs. You should know that every employee of English Funeral Chapel has promised and signed their name to this "Peace of Mind Cremation" pledge, providing families we serve with the absolute highest level of confidence. Everyone in our family owned company from part-time associates to crematory operators, from licensed funeral directors to administrative associates, from pre-need advisors to administrative staff, absolutely everyone has signed this pledge and a copy is in the Employee File of each Team Member. We doubt you will find any competitor who has gone to these lengths to ensure peace of mind for their clients. Our "Peace of Mind Cremation" and the individual written commitment of each of our associates focuses on a set of values and standards that maintain respect, dignity, and care for the deceased and the survivors. This is another unique reason to choose us for cremation service.